Podiatrists say properly fitted ski boots and skates are the single most important factor in safe and successful skiing and skating. Without a snug and accurate fit, the pressure exerted by the constant forward motion and lateral movement of skiing and quick turns of skating could lead to discomfort or injury. If boots and skates are too loose, toes quickly get irritated in the toe box. If they are too tight, pressure leads to blisters and abrasions that result in a host of painful problems and keep you indoors or, worse, compromise control and lead to an accident. Tight footwear also may inhibit circulation of the blood vessels of the lower extremity and cause cold feet, which both compromises performance and presents danger in the cold. 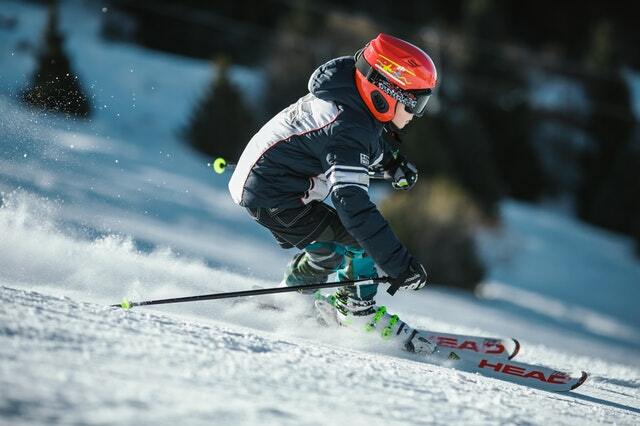 Ski boots are available in a forward-entry variety, a rear-entry style for easier entry and more comfort, or "hybrids" which incorporate both designs.Modern systems of cables and buckles make it possible to alter the boots to a near-perfect fit. With ice skates, proper fit is equally important. Don't allow children to wear hand-me-downs because improperly fitted skates can cause blisters, inflammation of the foot, or nail irritation. Improper ankle support in a too-large skate will leave the ankle susceptible to sprains, strains, or fractures. Whatever the style, skates should be laced snugly, using all the eyelets. Cross-country shoes look and are designed more like bicycle shoes than downhill boots. Bound to the ski only at the ball of the foot, cross-country boots should not irritate the balls of the feet. Snow boarding usually doesn't require special shoes, but podiatrists say large, sturdy, insulated boots flexible enough to accommodate the twisting of the lower body are best to safely control the board. Ski boots and skates can be adjusted internally to allow proper alignment between the boot and leg. For cases of rolling-in or rolling out of the foot, cants may be applied directly to the skis or within the boot. This improves edging and enhances performance and control. Unlike ski boots, ice skates are more uniform in design. Common side-to-side wobbling in the heel area can be remedied with "shims," or pads, in the heel. Shims can also be added to the counter area, or middle of the skate, for a more snug fit. If you are feeling pain while wearing your winter sports shoes, we can help. We can check the fit and size to determine what is causing the pain. We can also check to see if you have underlying problems causing problems.